The postings below are the messages sent to our class during 2016. Click here to see the 2017 messages. Happy New Year Class of '76! As a class we had a very good 2016 with our 40th reunion this past September. It went so well we are considering having another at 45 if there is enough interest and will definitely do one at 50. But in the coming year we will be doing at least one "unofficial" reunion at Tosa Fest, and probably one at Summerfest. Plus we will do others if there is interest and someone will organize and be the contact. The success of any reunion or reunion activity is our ability to get messages out to our class and it means having up to date contact info. Our decision to primarily use email was from a cost savings standpoint (essentially free) with the additional benefit that our messages could be received immediately. But the big downside is that an email can become invalid at any time. Unlike the 40th reunion questionnaire, this one will be entirely private. Your answers are strictly for our internal contact list and will not be stored on our website. We're looking for an alternate email (if you have one), your mailing address(es), and phone number(s). We only are looking for these if at some point you can't be contacted with the email we have currently. We note that many of you have already supplied this information on the 40th reunion questionnaire. If you did, you do not need to fill out this new questionnaire, but you certainly can and we won't mind. Please visit the following page on our class website. The questionnaire can be filled out online or if you prefer we have a fillable PDF form which is attached to this email. Any questions or comments, please send a message to Gene Hanson at genohanson@aol.com. It is with sadness that I have to report that our classmate, Mark Blake, passed away on October 14th at age 59. His funeral was on October 18th. Our thoughts and prayers go to Mark's family. I have a couple of updates to announce. The first is that I've now placed every photo I've received from the reunion on the website. I also have a video of the classmate jam session with the band. I have also received almost 200 images from Cardinal Pennant photographer Dave Bugni with more on the way. Though many of these photos made it to our yearbook, many did not. But even if they did, his scans of the negatives are much higher quality. If you've perused the website, I hope you notice that I've been able to collect a lot of content. But it turns out I'm really greedy and I'm looking for more. More photos, more memorabilia, and more recordings. I am particularly looking for the various record albums that were made. I have all the chorus albums, one orchestra (it was part of one of the chorus albums), and one from the symphonic band. I know there are many more! And I believe an album was made from Godspell. If you can send them to me I have a turntable and can digitize them to post on the website for everyone to enjoy. I hope to keep this email list active for the coming years as we're thinking of having a 45th reunion and we'll definitely be doing a 50th. I plan to send out emails from time to time, and hopefully not just the inevitable obituaries. But the last thing I want to do is put out too many messages so you'll get emails with far less frequency going forward. I do plan on having another questionnaire to get address and phone information from those who did not provide that on the booklet questionnaire. The difference for this questionnaire is that the responses will be totally private. The email addresses are great, but they can change and need an alternate contact should the need arise. My last minute plea for questionnaires was very worthwhile because it resulted in an additional 17 classmates filling out a form. In the end I received 185 questionnaires and the resulting booklet has 240 pages. My thanks to all who participated! I want to reiterate that I will not post the booklet on our website. The only way you can receive the booklet is through email and I will only email it to an address on this Google Group list. I have attached the booklet which is in PDF format to this message. As was previously the case, the attachment is large – 6.5Mb. Though we know many of you have Facebook accounts (as shown from the questionnaires), many do not and some who have them only use them rarely or not at all. One great reason to have one and use it at least occasionally is we have a group on Facebook called the "Wauwatosa East Class of '76 Reunion." Currently there are about 150 members. Here you'll see posting from not just myself, but everyone. We post pictures, stories, events, etc. and everyone can participate. It is also a forum. Even if you don't actively participate, it's fun just to see the activity. But keep in mind this is a private group. In order to participate and simply see the postings, you have to be a member. To become one, you make a "join" request to the group. I am an administrator for the group so I'll approve you immediately. Speaking of Facebook, I'd be remiss if I didn't thank our classmate Holly Beyer. Before we had this large Google Group, our dedicated website, and before we had our group on Facebook, we had a very loose group of us who were mutual friends on Facebook. In 2013 as Summerfest was approaching, Holly had this wild idea of getting a bunch of us together on one day at Summerfest and called it the "Tosa East Class of 76 Unofficial Summerfest Reunion." She got the word out and I prepared a map to show the various meeting areas during the day. Though just 9 people came, it was fantastic fun and I viewed it as a success because of the limited number of people we could reach. I took that success and wondered what could be possible if we could extrapolate it to as many classmates as possible. And most importantly, extrapolate it to our 40th reunion where we could keep people informed of what was going on and hopefully generate excitement for the event. Thank you, Holly! Here is your last opportunity to fill out a questionnaire so your responses can be included in our 40th reunion booklet. I will be accepting forms filled out from the questionnaire page up until midnight, September 21st, and I plan on releasing the final version the following morning. At last count, 168 of our classmates had completed one. If you're wondering whether your questionnaire will be accepted, if you can fill it out online and hit the "submit" button, you're good. When I officially close it, the questionnaire will disappear from the website. But that means we've got nothing from the following schools: Jefferson, Wilson, Roosevelt, Christ King, and St. Jude. Am I missing any schools? Please note that these are ideally scanned at high resolution because I will display them that way on the website. Photographing them can work, but my experience doing this myself is that it can be challenging. But if you don't mind, I will gladly scan them for you if you care to mail them to me. I will scan them and mail them back to you! Unfortunately, it will take some time to gather all them and then get them on the website. So in the meantime what I'll do is post the photos I have collected (including mine) onto my own Google account. I am going to keep them in 3 categories: Tosa Fest, Tosa East Tour, and the main reunion get together Saturday night, including the unofficial gathering at the old Pep's Place afterward. You should check back with these albums as they will expand as more people contribute their pictures. Get your questionnaires in! I'd like to get the final version of the booklet out, but have kept it open because they're still coming in. At last count, I'd received 162. If you haven't please consider taking a few moments to fill one out. And speaking of the booklet because it's officially a part of the 40th reunion, I thought I'd include the list of participants for the three events: Tosa Fest, the Tosa East tour, and the main reunion party at Hart Park. I've attached that part of the booklet because I want to be sure that it is accurate. Email me if you spot anything that needs correcting. Because of all the activity with the reunion, the website has taken a backseat for a while. With the reunion now over, I will turn my attention back to it. I am collecting everything and anything having to do with our class. One of the projects that has already started is the collection of class pictures. So far I have a very good collection from McKinley because 6 people have contributed, and I have one set from Lincoln, but that's it! I'd like to get all the schools including the parochial schools. I want to thank everyone who helped make our 40th reunion a fantastic success. Of course this includes the organizers because otherwise it wouldn't have been possible, but especially my classmates. I don't know that everyone had a really great time, but it sure seemed that way. I think everyone knows the expression, "You can lead a horse to water, but you can't make it drink." Just because we put on a reunion and got people to come, doesn't mean it was going to be a success. I am grateful for the classmates that I knew, especially those that I could call my friends. But at the same time I'm sad for the number of classmates I didn't know during school. I am grateful for the past reunions so I have to thank the organizers for their efforts in making them happen because without them, I wouldn't be with Debbie today. And having gone through the process of gathering classmate contact information, I'm simply in awe of their effort because it was before the era of Facebook, emails, and essentially free phone calling. I have lists on my computer which are easily edited. They had 3X5 cards. There was the huge expense of mailing! And I could send messages out (almost like having a newsletter) to keep everyone informed, and hopefully excited for the event. I guess I learned it can be next to impossible to find all the horses! I have been overwhelmed by the thank yous I've received. None of them are needed, but all of them are appreciated. I had a good time going through the process. And I hardly did this alone! There is a lot that goes into them and I really want to thank our committee: Sue Baumann, Teri Adlam, Jean Crabtree, Debbie Hetzel, Juliana Spring, Eileen Keyes, Mary Kay Luedke, Linda Hasselberger, and Jim Proft. Thanks to Pat Downey for again being our Master of Ceremonies. And keep in mind the accomplishment of a ticket price of $30/person. Again, my compliments to the class because the economics of that were based on a participation of 175-180. The actual registration number was 206 - 142 classmates, 64 guests. Thanks to the many classmates that traveled a significant distance to be a part of it. I want everyone to know I am collecting every last photo I can. I'm downloading every picture I see on Facebook and will want to solicit pictures from everyone here on our Google Group. Send me your pictures! These pictures will all make it to the website. Finally, it isn't too late to participate in the reunion. If you haven't already, please fill out a questionnaire as I'm looking to complete the booklet. So far 157 classmates have participated and I've already received such good feedback you should definitely make the effort. Again, thank *you* for making this a very successful reunion! Despite the threat of rain (the weather was nearly perfect) and the intimidation of the construction on State Street, I counted 63 classmates who stopped by at Tosa Fest. I personally took pictures and will be posting them to the website, but many others did as well. If you took pictures, please email them to me when you can. Here is my list of the attendees at Tosa Fest. If I missed anyone, please write to me because the list will be published on the website. I hope we get a great turnout for the Tosa East tour later this morning! The reunion festivities start this evening with our informal get together at Tosa Fest. Here again is the layout they're using this year as they had to push the event entirely off of State Street. Weather? It's looking better than the forecast earlier with now a chance of isolated thundershowers. Don't worry! You're in Wisconsin. You're from Wisconsin. You know how to deal with a little rain! We'll be there by around 6:00PM which is when it opens. I hope many of you decide to drop by. We have similar weather forecast for Saturday morning for the Tosa East tour from 10:30AM-12:00PM. But besides the possibility of a roof leak here and there, that should not be a factor. For Saturday evening the weather is looking great so no problem if you have to park a ways and walk a bit to the Hart Park Pavilion. Our event is in the main area, but don't bring your ice skates or curling stone. There is no ice! Booklet attached to this email! Though the questionnaires are still coming in, I wanted to get the 2nd version of the booklet out to everyone for the reunion. I will not have any time for the next several days to work on that project. But for those who still haven't participated, please do so. I plan on accepting questionnaires through September 18th and will make a general announcement to officially close the process and then distribute the final version of the booklet. In the meantime see the entries of the 153 I have entered. I hope everyone has a great time at our 40th Reunioin! I have finished the initial version of the 40th Reunion Booklet. It has been completed with all the responses I have received up to date and I've attached it to this email message. My great thanks to all who participated. I appreciate the time that so many of you took with many obviously putting a lot of thought and effort into it. All of the events are set and here are the details. But besides the schedule, we have received word from many who have been away from Tosa for a long time that they'd appreciate maps so we've provided them here. September 9th (Friday) - 6:00PM - 11:00PM - This will be our informal gathering at Tosa Fest. 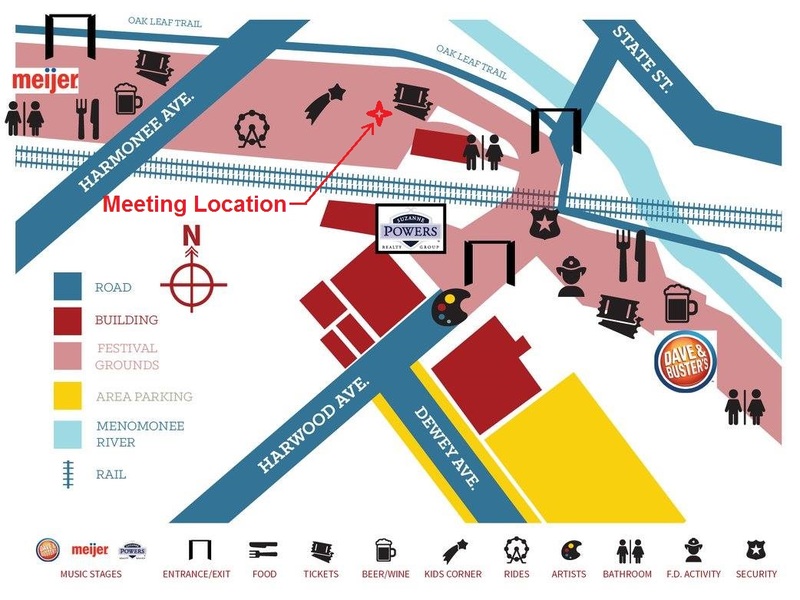 Our main meeting location will be at the tents which will be near or under the Harmonee Bridge which is close to the Little Red Store. No RSVP is needed. If you can't recognize anyone, look for our Tosa East 1976 sign. The map at the right is from Tosa Fest showing this years grounds. We have marked our approximate meeting location with a four-point star. You should be able to click somewhere on the image for a larger view. You may have heard that there is major construction on State Street. While that is true, it really won't interfere with much with Tosa Fest. Over the years as Tosa Fest grew in size, it spread into the parking areas under the Harmonee Bridge. (This bridge was not there when we attended East!) What the organizers did was simple: move all of the event into those parking areas. Parking? Parking always tends to be an issue with Tosa Fest. It is tough to tell anyone where to park because there really is no one specific area. You simply find parking anywhere you can (there are a few parking lots here and there, but also consider the streets) and be prepared to walk. September 10th (Saturday) - 10:30AM - 12:00PM - Tour of Tosa East. Enter at the main entrance on Milwaukee Avenue. If the doors are open, you might not see anyone because everyone might have gone inside into the Learning Center area. No RSVP is needed. 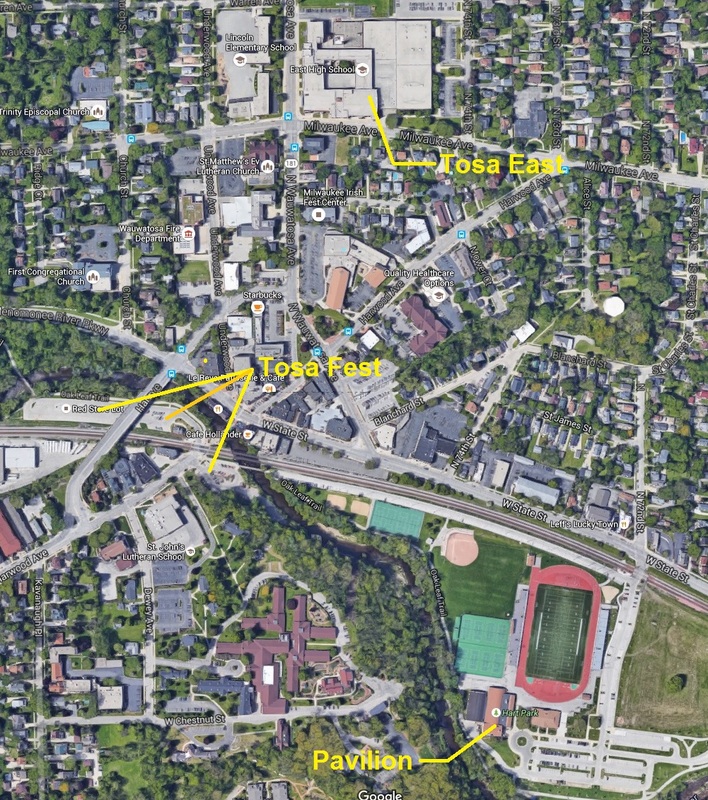 Parking is available in the Tosa East parking lots. September 10th (Saturday) - 5:00PM - 10:00PM - Main reunion event at the Hart Park Pavilion. Prior registration is required for arrival before 7:30PM while we are serving food. We will have food stations (rather than a sit down dinner to maximize mingling), a cash bar, a photo booth, and a live band (The Differentials). For late arrivers (after 7:30PM) who are not eating, if you do not have a prior registration, we will accept walk-ins at a cost of $20/person. Dress attire: casual. There is a parking lot there, but because of Tosa Fest the spaces may be limited. Arriving early will help. Should that lot be filled, we suggest the area east and south. Along Honey Creek Parkway may seem a ways, but there is a foot bridge over the Menomonee River. September 11th (Sunday) - There are no formal or informal events currently planned. However, it's football season and the Packers are playing the Jaguars starting at noon. We have received one suggestion that people meet at Mo's Irish Pub which is on Bluemound Rd and Hwy 100. Let us know if you're interested in going to this. If we get more than a few people expressing interest, we'll make an announcement here. Below is an aerial map of the venue areas with those locations marked. 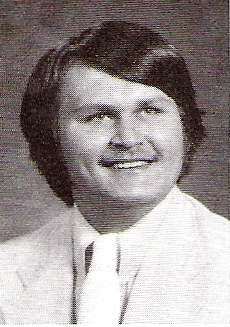 It is with sadness that we have to report that our classmate, Marc Kilburg, passed away on August 20th at age 59. A celebration of Marc's life will be held on Thursday, September 8, 5 - 8 PM at Enderis Park, 2900 N 72nd St, Milwaukee, WI. Our thoughts and prayers go to Marc's family. See more at Marc's obituary. Our deadline for getting a number to our caterer was tomorrow, September 1st, which is why we've been pressing you on the signups. However, we have received a bit of a reprieve in that we've reported our initial number and we will have just a few more days to add to the count, not subtract. The cutoff will be Saturday unless we send another message before that to let you know the registration is closed. Again, if you're now signing up, our rules have changed a bit. If you're sending the paper form via the mail, you must call Gene Hanson (262-354-0138) or email genohanson@aol.com immediately to give us the heads up. If you're using the online web form, you can just fill that out because we're notified almost immediately after you hit the "submit" button. In either case, you need to make your payment immediately. On Thursday, September 1st from 6:00PM to 9:00PM, Eileen Keyes (Eileen Wernsman) will be hosting an unofficial Class of '76 reunion in Hoyt Park at the new pool. It is completely informal. There is no need to RSVP so you can show up at the spur of the moment. However, if you think you be able to go, please send an email to Gene Hanson (genohanson@aol.com). For this get together, we will meet in the beer garden known as "The Landing." It is a food and beverage area off the NE side of the building (see the map below.) There will be a band called Hindsight, and we'll be there between 6:00PM-9:00PM. 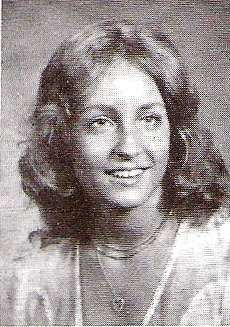 Classmate Eileen Keyes (now Eileen Wernsman) will be at the right side of the stage. Currently, Gene Hanson should be there. It is not a large area so you should be able to spot us. But if you have any difficulty, you can call or text Eileen. The address of the Hoyt Park Pool is 1800 N Swan Blvd, Wauwatosa. The entrance to the parking lot is on Swan Blvd (92nd Street) just south of Menomonee River Parkway. Remember, you can still register for the reunion. If you use the online form, we're informed immediately. But if you intend to use the "paper" form and send it via the regular mail, it might not be received until after August 31st. That's okay, but you must contact us by immediately either sending an email to Gene Hanson (genohanson@aol.com) or give him a call at 262-354-0138. That way we know your registration is on the way. You Can Still Sign Up For The Reunion! Our initial deadline is now past, but you may still sign up. The new deadline is August 31st. The reason for the earlier deadline is that for those mailing their registration form it can easily take 5 days so we obviously needed that cushion. For online signups this is not a problem because we receive those immediately. If you are using our PDF to make a paper form to fill out and send, you can still do that, but you absolutely must inform us that it's coming! It's not the arrival of your money that's the issue. It's knowing whether you are coming and if you have a guest so we can get our number to the caterer. You can send an email to Gene Hanson at genohanson@aol.com and he will acknowledge that with a reply. If you prefer, you can call him at 262-354-0138. If he doesn't answer, leave a message and how many you're signing up for. If you leave a phone number, he can call you back or send you an email to confirm. If you are using our online form, no problem. You have until midnight August 31st. And keep in mind you don't have to pay online just because you signed up online. You can send a check. We are attaching the new signup form that has these new instructions. We will try to keep this updated in real time as much as possible. Again, as always, if you have any questions you can email Gene Hanson at genohanson@aol.com or call him at 262-354-0138. If you have already signed up for the reunion, thank you! But if you haven't yet signed up and were planning on attending, our deadline for signing up for the reunion is tomorrow, August 26th! Why is our deadline tomorrow when the reunion itself is 16 days away? We need to get the number attending to our caterer. Because we don't have any extra money, we will not be buying extra food so can't accept late registrations for the meal portion of the reunion event. Mailing your registration form is fine, but it can take quite a few days to make it to us. Registering online is much better in this regard because the form arrives almost instantly. We will have information to share if you can't register by tomorrow, but for now simply try to get your form to us! You can also fill out the attached form. If you have any questions about the process or need any help, you can write to Gene Hanson at genohanson@aol.com or you can give him a call at 262-354-0138. We are just one week from our established deadline of August 26th. Yes, that's not a firm date, but we'd really like everyone to treat it as such. We're currently checking with our caterer to see how late we can get them a number. Remember, this is not at a restaurant where there is plenty of food available. We have to pay for all the food that is brought to the reunion. And, please, if you have any questions, concerns, or anything is not clear, please contact Gene Hanson. You can even register by phone if that's your preference! You can call him at 262-354-0138 or email him at genohanson@aol.com. Last Friday was the booking deadline for the Crowne Plaza to be assured the special $119/night rate, and today was the deadline for the Holiday Inn Express. But if you still need a room, it doesn't hurt to try to see if you can still get those special rates. We tested Crowne Plaza online and you could still get the special rate. But if it doesn't work online, it's always a good idea to call. All times PM. The hotel bar will remain open until at least midnight and possibly until 2 am depending on business. Though we've done our best to keep the number of messages down so everyone is not drowning in emails, as we get closer to the reunion the frequency will inevitably increase as we strive to keep everyone informed. We hope you won't mind and don't worry, the reunion is only 22 days away! Here's a reminder to all who are traveling and need a hotel, the booking deadline to be assured the special rates we've set up for the reunion is almost here. This Friday, August 12th is the cut-off date for the Crowne Plaza Milwaukee West which is where we believe most of our classmates are staying. The Holiday Inn Express Milwaukee-West Medical Center cut-off is August 19th. We are getting close to our reunion weekend – just 5 weeks from today. If you haven't already done so, please signup for the reunion. September 9th (Friday) - 6:00PM to 11:00PM - Informal gathering at Tosa Fest. Our tentative main meeting location will be under the Harmonee Bridge. No RSVP is needed. September 10th (Saturday) - 10:30AM to 12:00PM - Tour of Tosa East. Enter at the main entrance on Milwaukee Avenue. (It's the entrance you see in the photo above.) No RSVP is needed. September 10th (Saturday) - 5:00PM to 10:00PM - Main reunion at the Hart Park Pavilion. $30/person. Food stations (rather than a sit down dinner to maximize mingling), cash bar, and a live band. Dress attire: casual. For late arrivers (after 7:30PM) who are not eating, the cost will be $20/person. We have an online form, but if you prefer you can use the attached PDF form. If you're having any difficulty with the process, don't hesitate to contact Gene Hanson at his email (genohanson@aol.com) or give him a call at 262-354-0138. Also, we're still looking to get your questionnaire if you haven't yet filled one out. So far we've received almost 100 and the answers to the various questions have been outstanding. The framework of the booklet is finished which was to place all the senior pictures and names and all the questionnaires we've received so far have been inserted and formatted. At this point it is 175 pages in length! Finally, it is never too late to help find missing classmates. Please visit our website to see if you can help locate some of these classmates. Any questions, comments, suggestions, etc., please send a message to Gene Hanson at genohanson@aol.com. If you prefer to talk, you can also give him a call at 262-354-0138. First off, thanks to all our classmates that have already registered for the reunion. But for those who have not, we encourage you to sign up as soon as possible. If you have any questions or would like the signup form emailed to you directly, feel free to contact Gene Hanson at genohanson@aol.com or call him at 262-354-0138. Finally, there was a wonderful funeral service for our fallen classmate, Marce Hoffmeister (Marce Kern), this past Wednesday. We know many could not attend because it was in the middle of the day, but there was a good showing. In attendance were Renee Frey, Sue Weber, Laura Kenney, Joyce Isenberg, Debbie Hetzel, Gene Hanson, and Steve Sweet. We look forward to seeing everyone at the reunion! It is with sadness that we have to report that our classmate, Marce Hoffmeister (Marce Kern), passed away on July 14th. At this time we have no information about funeral services, but will post that information on the website when we receive it. Our thoughts and prayers go to Marce's family. Visitation: 10:30-12:00PM, Memorial Service starts at 12:00PM. Update: List of classmates that attended Marce's funeral: Renee Frey, Laura Kenney, Sue Weber, Joyce Isenberg, Mary Fox, Debbie Hetzel, Gene Hanson, and Steve Sweet. September 10th (Saturday) 5:00PM - 10:00PM at the Hart Park Pavilion. $30/person which includes food. $20/person for late arrivals - after 7:30PM. There will be a cash bar and a live band. September 9th (Friday) 6:00PM - 11:30PM will be our informal gathering at Tosa Fest. We hope to have a specific gathering location. We'll send more information as we get it and let you know via this mailing list and the website. September 10th (Saturday) 10:30AM - 12:00PM will be a tour of Tosa East. Enter the building from the Milwaukee Avenue entrance. At this time we have nothing "official" for Sunday, but it's been pointed out there's a Green Bay Packer game starting at noon. We'll send out information as we get it. As you'll see, you can sign up via our online form or via the mail with our PDF form. And we have set up a PayPal account so anyone can use a credit card if they wish. If you have any questions about the event, form, payment, etc. don't hesitate to contact Gene Hanson by email (genohanson@aol.com) or phone. 262-354-0138. Also, though the response to the questionnaire has been good, we're still looking for more classmates to fill one out. For our 40th reunion we want to gather information about our classmates which will be put into a booklet. But we need your info so we've put together a questionnaire. We're hoping to duplicate the excellent booklet that was created for the 20th reunion by Patty Ulschmid. But it being 20 years later (I know, it can't be that long!) there are a couple of differences because of technology. First, we can now collect the data via the internet through our website and email, plus we will still accept regular mail. Second, our publication can be electronic and can utilize a PDF format so there is essentially no cost for "publishing" the result. Third, as a result of the near zero cost, the "booklet" will be distributed to everyone on our email list, regardless if you're able to attend the reunion itself. Because of privacy concerns, we will not be placing this booklet on our website. We will only distribute this to the classmates that are on our official mailing list. As far as the questionnaire is concerned, many may consider it somewhat long. However, we've tried to put the most important questions up front and only the first two questions are mandatory because we need to identify and verify. All of the other questions are voluntary. Only answer what you'd like. And we'd really like a response from everyone, even if you choose to other not participate. Just send a message (or just answer the first two questions) if you're opting out of the questionnaire because we will be emailing reminders later on. Finally, if there is enough interest we can have a number of copies printed, but there will obviously be a cost. Please visit the following page on our class website. The questionnaire can be filled out online or if you prefer we have a fillable PDF form. We are having an "unofficial" class reunion again this year at Summerfest. Again? Yes, this will be the 4th year in a row we've had this, but attendance has always been limited because it was nearly impossible to get the word out. Now with our email list of classmates we can inform a lot more so many more will attend. What's an unofficial reunion? It's an informal planned gathering of classmates at a designated area and time. The rule we have is that everyone in our class is invited. (If everyone is not invited, that's just a private party. Nothing wrong with that, but it's not an unofficial reunion.) It's totally informal. No RSVP is needed. People can decide at the last moment. Since a lot of people could show up, large public places are preferred. Summerfest is a very good event as is Tosa Fest. There is no fee for attending other than the cost of getting into venue and any food or drink you wish to buy. July 3rd is both good and bad because that night is the big lakefront fireworks display. So it will be more crowded and parking could be a challenge. Our strong recommendation is to arrive earlier than later. Does July 3rd not work for you? Would you prefer another date as well? Summerfest runs through July 10th, although closed for the 4th. We can certainly do more than one day, but we need someone to host. For July 3rd, Gene & Debbie (Hetzel) Hanson are the hosts. As a "host" we would need your cell phone number so people could text or call you if they're having difficulty finding the gathering. And you need to get the info to Gene Hanson so he can put it on the website and then make an announcement. It is June 11th, 2016 which means today is the 40th anniversary of our commencement which was held in the Tosa East gym. We've posted the ticket and the entire commencement program on our website. Keep in mind this page and many others on the website are a work-in-progress. We'll be posting more to that page fairly soon. But we're always looking for more photos. If you have stuff that is already scanned you can email them to Gene Hanson (genohanson@aol.com) or if you don't have a way to get them scanned and don't mind mailing them to Gene (6743 E Amber Sun Dr, Scottsdale, AZ 85266), he'll scan them for you and mail them back. As we're getting closer to our September 10th event at Hart Park, if you're coming from out of town you should be thinking of getting travel arrangements and possible hotel accommodations. We have made a special arrangement with the Crowne Plaza Milwaukee West hotel which is at 10499 W. Innovation Dr in Wauwatosa (at the intersection of Mayfair Rd & Watertown Plank Rd). At just 2 miles from our venue, it is actually the closest hotel. The special rate is $119/night (plus tax). Also, we've been informed that if we can get at least 10 books at this hotel, they provide up to 3 drop offs and 3 pickups before 10PM. As of this date, we are awaiting for special rate from the Holiday Inn Express, but we wanted to get this information out to you now. If we get that info, it will be immediately placed on the website. Also note, we have presented a list of 20 nearby hotels should you want other options. 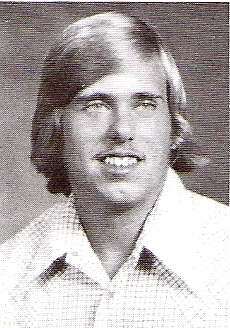 Welcome again to the Tosa Tosa East Class of '76 email list! Our class reunion date and venue have been set: September 10th (Saturday) at the Hart Park Pavilion. One of the exciting things about this date is that this will be during Tosa Fest weekend. Consequently, we will be organizing a very informal get together there on Friday evening. And we are setting up a tour of Tosa East on Saturday, probably in the morning. We will be sending out detailed times later as everything is nailed down. My apologies to a couple of classmates that preferred a date in the summer because of preexisting travel plans in September. One problem with a summer event is that we are competing with all the weddings. This translates into a much greater expense to rent the facility. We received a very good discount at Hart Park because of the time and the fact we are associated with the community. We cannot stress enough that we are doing everything we can to keep expenses as low as possible! The reason we're utilizing email is to save the substantial postal expense. It is easily the number one complaint we hear: the reunion is too expensive. We are also addressing another complaint: the sit down dinner takes a significant amount of time from mingling with your classmates - the very reason people are coming to the reunion. Instead of a sit down dinner, something that appears to work very well is to do food stations. Essentially a bunch of hors d'oeuvres. We saw this done last year at the Wauwatosa East Red Raiders Hall of Fame induction ceremony held at the Hart Park Pavilion and it definitely maximizes the mingling time. What are we doing? We have addresses of about 160 of the missing classmates and we are attempting do one (and only one) postcard mailing. We are also looking for suggestions for the food / caterer. Since there is some interest in doing a reunion book, we will be sending out a questionnaire to gather information. The messages we send are archived on Google, but you need to have signed up with Google in order to view them there. You do not have to have a gmail account as you can use whatever email you already have. However, it's not necessary because we'll also save them on our website.